Now you do not need to go for a gym or health centre to work out your ab muscles. The same purpose can now be fulfilled right in your home and room with the new Ab Circle Pro. The Ab Circle Pro machine is designed to target your entire muscle abs and as a result you will get a flatter, slimmer and firmer abs. 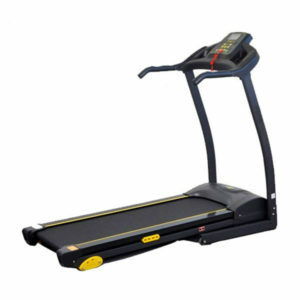 This machine is also known by another name as stomach treadmill. This exercise machine is perhaps the ideal solution for those individuals who always wanted to have a firmer abs without the tiresome exercise of sit ups and crunches. The Ab Circle Pro machine is designed to target your lower, middle and upper muscles in a single action. All the fat deposits from these areas will burn at a rapid rate by the use of this machine. With this versatile machine, you can workout your Ab muscles for longer durations in a worry-free, trouble-free and hassle-free operation. You can use the device at three different levels for a more intense workout. In this way, you can take out you abs to a next level in considerably less amount of time. Apart from the Ab muscles, you can also use the machine to strengthen your thighs and buns muscles. In order to do that, you just have to change the pin of machine and that’s all. The Ab Circle Pro is a portable device and can be easily folded when not in use. This portability factor offers so much convenience for easy storage the device under the bed or even in the closet. How to use the Ab Circle Pro? First of all, you have to place your knees in the knee placing section and lay your hands on the handle of the Ab Circle Pro. Try to be at the possible centre of the machine. You can do this with quite ease by looking front and with your head up on the machine. In the next step, you have to move your body towards the right side of the machine. Try to do this in a lenient and placid manner as it will allow your body to retain its natural position. In the next step, you have to move your body to the left side and repeat the step 3. In the next step, raise your right leg over the machine in a gentle manner with your left leg continuing behind, that will initiate an inching movement. Try to lock the clip during the initial workout. Please Note: The results may vary from people to people. Ab Circle Pro Pakistan is only a machine that helps you to reduce your weight by doing exercise. For enhanced results, use it with a healthy diet and plenty of water.